Create high visible presence in a busy retail setting. 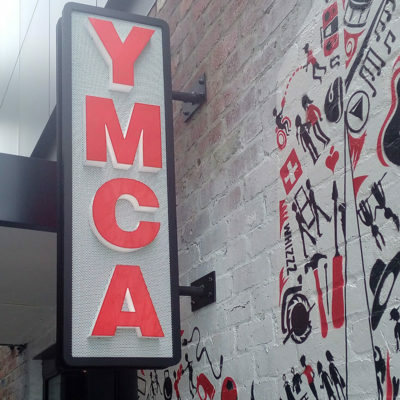 Its appearance and location needed to provide easy access to the local community to whom the YMCA and Scentre Group aimed to service. The scope of works varied from architecturally designed 3D light boxes and logo signage to printed wall paper in stairwells, so quite a challenge in terms of manufacture and install.